If you run an auto repair shop, having a reliable source for your Mazda B2200 Parts can be the difference between a returning customer and a lost one. 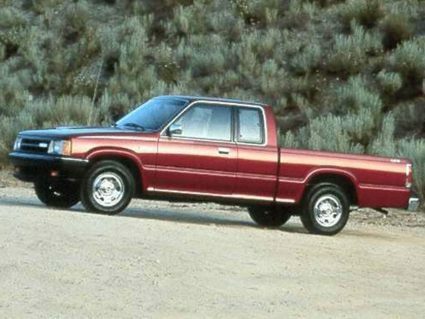 Mazda B2200 owners love their B2200 and they don't want to settle for a rental car while their beloved vehicle is in the shop. The faster you get their repaired B2200 back to them, the better it is for them and you! For that reason, you should use one of the leading parts locator services on the Web - UNeedAPart.com. UNeedAPart.com has access to over 7,000 parts suppliers to help you quickly and efficiently find the Mazda B2200 Parts you're looking for. It doesn't matter if you own your repair business or you're making the repairs from your own garage at home, UNeedAPart.com can help you locate the exact Mazda B2200 Parts you need to do the job. Sometimes, certain Mazda B2200 Parts can be difficult to find. If you order from an automobile dealership, you may have to wait weeks before receiving your Mazda B2200 Engine, B2200 Wheels or bumper. Mazda B2200 Parts are built using a number of specially made parts. That's why having access to such a large network of parts suppliers is so important for the success of your business. With such a large network of parts suppliers, even when some dealers are occasionally out of stock, there is always a great chance that other dealers have the right B2200 parts in stock. For your best chance at success, locate the parts you need through one of the largest and most widely used parts locator services on the Internet - UNeedAPart.com. Finding the right Mazda B2200 Parts is easy! To get started, simply use the Parts Request boxes at the top and/or side of the page. You will instantly be matched with auto parts dealers that meet your search criteria. UNeedAPart.com helps you find the new or used auto body parts you need in no time!